What comes to mind when you think of city living? The scene probably doesn’t involve lush greenery alongside fresh bodies of water stirring with wildlife. But that’s exactly what you can experience just steps from some of our stations! Fortunately, state- and federally- protected nature reserves keep many vulnerable habitats a priority amidst all the surrounding urban development. And whether it’s Earth Day (April 22) that’s raising your eco-antenna, or you’re a year-round outdoor enthusiast seeking new adventures, anytime is a good time to explore and appreciate our local natural wonders. Cruise on the Capitol Corridor to get up close and personal with some of the awe-inspiring ecosystems along our route, listed here from south to north. With the bustle of Levi’s® Stadium just out of earshot, Ulistac Natural Area is one of Santa Clara’s few quiet refuges where, instead of contending with crowds, you can commune with nature. From the Santa Clara-Great America Station, walk down Tasman Drive to Lick Mill Boulevard and you’ll land at this quaint mile-long stretch of park that hugs the curves of the Guadalupe River. Here, visitors can observe monarch butterflies and the diversity of birdlife; the area is home to more than 150 species of birds. Bring binoculars to catch mockingbirds, hawks, owls, and hummingbirds in action, traversing the multi-colored leaves throughout the park. The flat trails and grassy areas welcome outdoorsy folk of all levels. Large logs located along the trail offer natural seating amongst native trees, shrubs, and flowers. 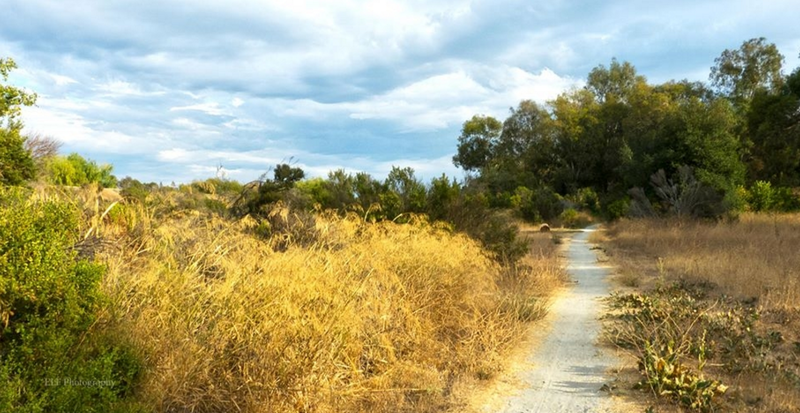 Extend your adventuring with a walk further along the Guadalupe River Trail. Renamed in 2012 to honor Save The Bay co-founder Sylvia Mclaughlin, Mclaughlin Eastshore State Park encompasses 1,854 acres from the Bay Bridge all the way to Richmond. It stands today as stunning proof of the power of the people to nurture parcels of nature in the face of modern construction. After arriving by train at Berkeley Station, walk down University Avenue to West Frontage Road. With 8.5 miles of waterfront parkland, this lengthy stretch of rehabilitated and preserved urban land offers treasured trails with a panoramic view of the San Francisco Bay. 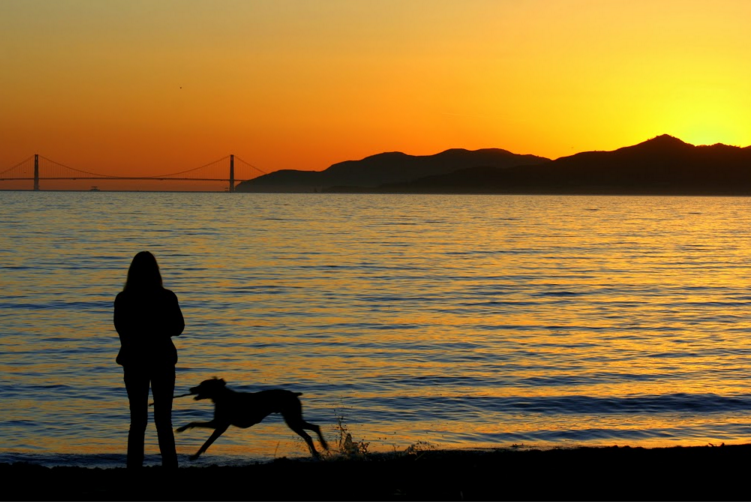 Enjoy the diverse environmental conservation efforts, from Berkeley Meadow, to Cesar Chavez Park, to Albany Bulb, to Richmond’s Point Isabel. Radke Martinez Regional Shoreline sits at the north end of Ferry Street, less than a mile from Martinez Station. The waterfront park is named after Ted and Kathy Radke, who were instrumental in securing legislative funding to support conservation of the area. 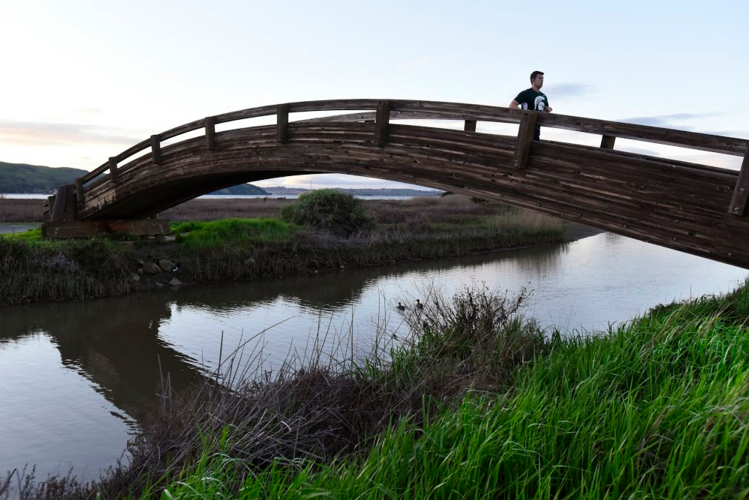 Situated across from Carquinez Strait Regional Shoreline, the Radke Shoreline boasts almost three miles of walking, beautiful marina views, marsh exploring, a picturesque wooden bridge (pictured), and more. A children’s playground structure and well-manicured Bocce courts offer additional, recreational touches to the natural scenery that’s become popular for family-friendly fun, including kite-flying and annual July 4th picnics. On the opposite side of Martinez Station from the Radke Shoreline sits the larger Carquinez Strait Regional Shoreline. 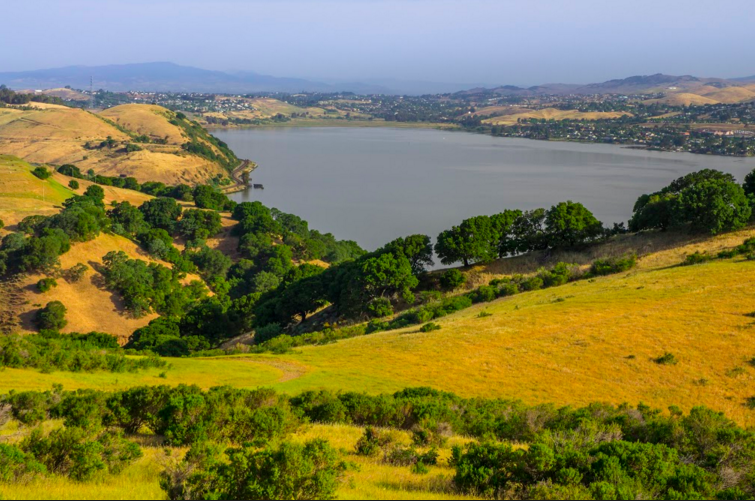 From the train stop, walk down Buckley Street to Carquinez Scenic Drive and you’ll enter this 1,415-acre expanse of changing terrain. Rolling verdant hills, meadows shaded by tall trees, canyon enclosures, and vast waterfront views all come together to form this favored destination for pleasant day hikes. Visitors enjoy views of Mt. Diablo, Benicia, Port Costa, and the Eckley Pier during this multi-faceted park adventure. 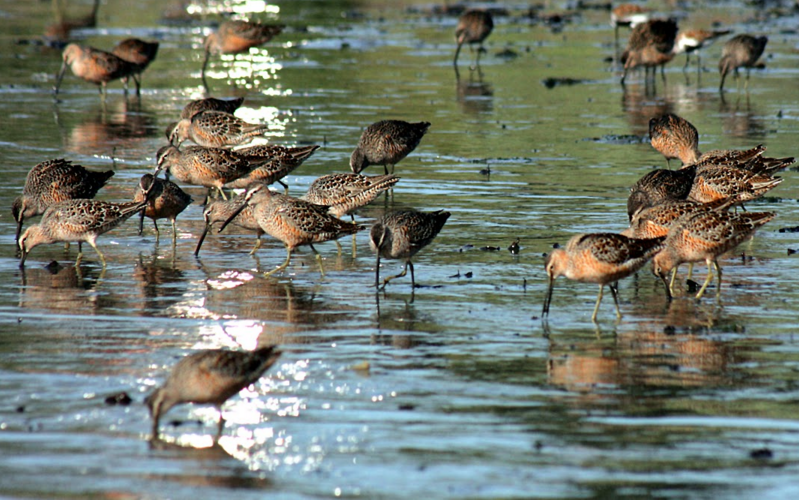 It’s the largest brackish water marsh on the west coast, and bird watchers especially appreciate the expansive Suisun Marsh for its place on the migratory flight path. But waterfowl aren’t the only ones basking in this habitat near Suisun Station. Wild salmon and delta smelt are primary fish sustained by the marsh. The endangered Suisun thistle flower also calls the marsh home. Want to learn more during your visit? 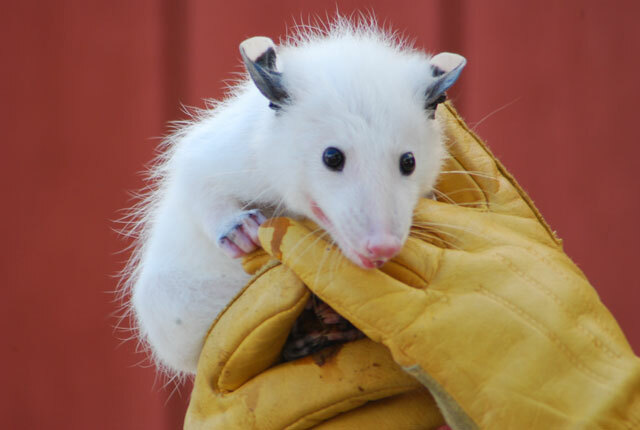 Suisun Wildlife Center is a small wildlife rescue and rehabilitation facility perched next to the Suisun Slough, and makes for an enjoyable and educational family outing with tours and presentations of nurtured native wildlife. Travel sustainably when you ditch the car and book your travel on the Capitol Corridor! Previous Previous post: April Picks: Art in Martinez & San Jose, SF Cherry Blossom Festival & SF Beer Fest, Earth Day in Berkeley & Sacramento, and Oakland Dance Festival!